The Kalonzo Musyoka Foundation, Kenya Human Rights Commission, and Ahadi Trust Kenya are among 959 NGOs to be deregistered for failure to account for donor funds. 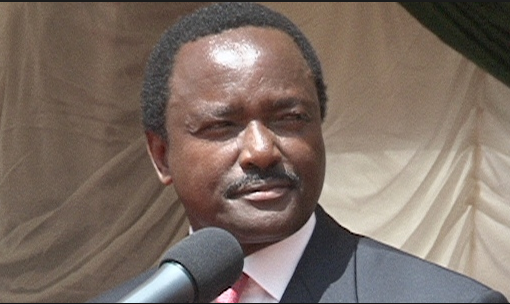 The Kalonzo Musyoka foundation, which runs a children's home and is involved in bursary funding, reportedly failed to account for Sh64 million. Ahadi Kenya Trust, that has been at the forefront of jigger eradication, faces deregistration by the NGO coordination Board over Sh84 million unsupported expenditure. Ahadi Kenya CEO Stanley Kamau on Wednesday denied any wrongdoing and said he had remitted all financial details to the Board. "We are in the list because according to the board we did not remit the 2010 financial report but I have a receipt showing I did remit," he said. KHRC is in the list over Sh1.2 billion, Deaf Aid - Kenya allegedly failed to account for Sh164 million and Africa Development Solutions (ADESO) cannot account for Sh9.7 billion. The NGO Coordination Board said the blacklisted NGOs cannot account for a total of Sh25.7 billion. CEO Fazul Mohamed said the NGOs run two different accounts, one for donors while another, with less money, is shown to the government.